Some on the Astral Plane make the mistake of failing to value what time they have. In the near agelessness gained while traveling there, some forget that even there time is not endless. It merely moves at the lightest of trickles where it ordinarily it is like a deluge. Others understand that indeed eons are not infinities but simply decide some things are more valuable than time. Both are of use to the Wanderlusts. Languages Celestial, Common, Infernal, telepathy 30 ft.
One Day. Wanderlusts form with incredibly limited lifespans, dying in the equivalent of one day on the Prime Material Plane unless they manage to extend their lives with the lifeforce of others. For this reason, many stay almost exclusively on the Astral Plane, where time flows incredibly slow. And Another Tomorrow. Wanderlusts may take lifeforce from other willing creatures, aging that creature the precise amount of time they consent to lose. The Wanderlust’s own “natural” lifespan is then extended by that same amount. Nonliving creatures, such as Constructs and Undead, and creatures with less than 4 Intelligence, cannot be affected by this ability. Tired Hand. Melee Weapon Attack: +5 to hit, reach 5 ft., one target. Hit: 7 (1d8+3). The target must succeed on a DC 16 Wisdom saving throw or suffer one level of Exhaustion. If the target fails by 5 or more, they suffer two levels of Exhaustion. Mutual Annihilation. The Wanderlust chooses to expel however much of its currently contained lifeforce as it desires, in essence, spending minutes, hours, days, months, or even years (usually thought of in terms of its lifespan if it were to be on the Prime Material Plane) of its life. Upon doing this, all creatures within 15 ft. of the Wanderlust must succeed on a DC 16 Charisma saving throw. Untended objects receive no saving throw. Untended objects, and creatures who fail this saving throw (along with their gear) are immediately aged however much time the Wanderlust spent on this attack. This aging effect will be totally negligible to some creatures and objects. The average Wanderlust has approximately 200 years of lifeforce to spend but is incredibly reluctant to part with it unless they believe they are in grave danger. While they do their best to conceal it, most of a Wanderlust’s actions are driven by their fear of death. With their intellect and charisma, they build power and weave intricate plots, all to convince (or coerce) others to grant them some of their life to extend their own. A Wanderlust takes no pleasure in harming others but, equally, wishes to live eternally. Some even say Wanderlust’s are without souls, doomed to oblivion once they die, and are formed in the Astral Plane fully aware of that fact. 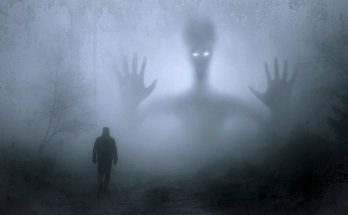 Scholars claim their shadowy humanoid forms might be some random distortions of the Astral Plane’s effects on time made sapient, accidental (and perhaps even tragic) cogs in the cosmic machine. Wanderlusts can manipulate the shapes of these forms to a slight degree but a Wanderlust is always easily identifiable unless concealed by some kind of magic. Many Wanderlusts (and perhaps where their name came from) wander the Astral Plane, trading goods to travelers in exchange for lifeforce. But woe to the traveler who meets a Wanderlust in a time of weakness or peril. Wanderlusts, thus far without variance, will always prey on the vulnerable with a simple bargain: a year of their life or they will snuff it out forever.